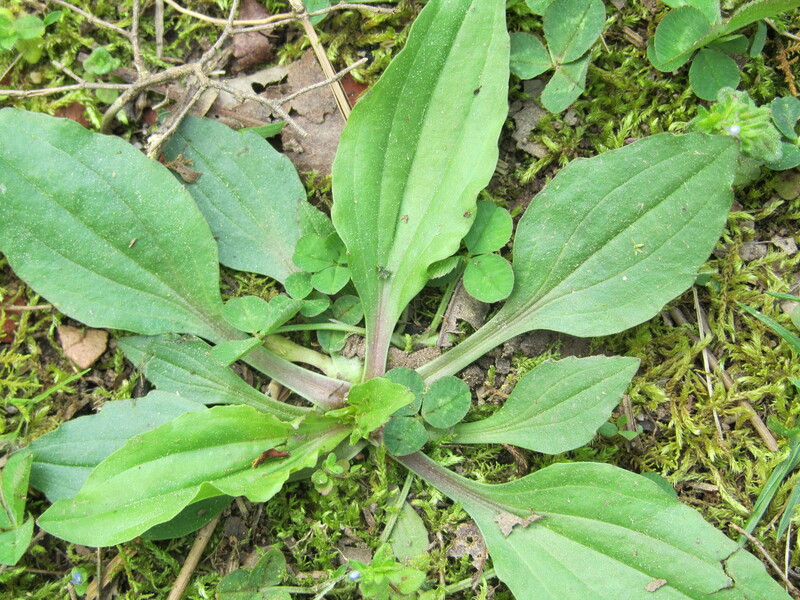 ← Eating Weeds – My Favorite Time of Year! As much as I enjoy eating from the yard, it’s even more exciting to find things that heal, no drug store required! One of my favorites has to be Plantain. Anyone can find Plantain. It grows in often inhospitable environments, next to buildings, sidewalks and driveways in dry, compact soil. It’s one of the plants that first comes to help bring health back to damaged soil. Plantain is unbeatable for taking the sting out of insect bites. So, it’s great that you can find them just about anywhere. You crush (or chew) up the leaf and apply it as a poultice. It’s amazing how quickly the sting will die down. It is also an amazing wound healer, helps with pain, stops bleeding and has a drawing out effect. I included it in a salve I made that has been amazing (recipe below). 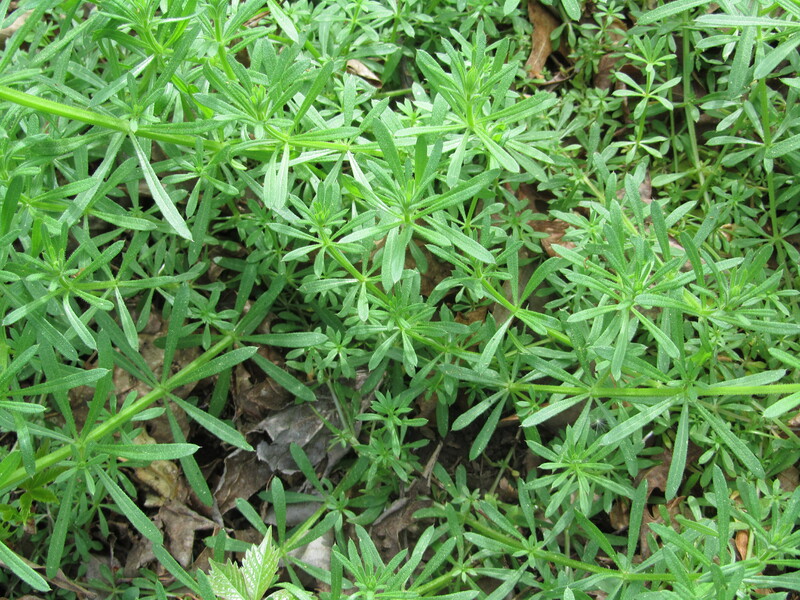 My new favorite is Cleavers! I have cleavers everywhere and honestly, it’s a weed that has not been my friend. But when I was walking in the yard and saw how prolific it was, I decided it was here to teach me something. When I began researching I found all kinds of amazing properties!! It has marked effect on the lymphatic system. We I first read that, I knew why it was in my yard. I have a LONG history with mono and lymphatic issues. Mother Nature knew and put this healer in my path, literally!! I learned that Native Americans used it as a “spring tonic” to get rid of the stagnation of winter. It has detoxifying effects, it helps with skin conditions, urinary tract health, even kidney stones. The list went on and on. So, I decided to give it a try. I choose to use the ‘cold tea’ method. Each night, for two weeks, I would cut fresh cleavers, chop them, put in a quart jar, fill with cold water and let sit until morning. In the morning, I would strain and drink. It tastes like SPRING!! So, light and fresh. I felt different almost immediately. The whole two weeks I had tons of energy, felt lighter, less draggy, etc. It was also the week that I historical have trouble with migraines and I didn’t even have a twinge! That was amazing because it was also a week with some additional stressors which usually doesn’t bode well for my head! I finished that trial about 5 days ago and I really miss it. I think I’ll start back and at least do it a few times a week, while it’s still fresh and prolific in the yard. I’m thrilled to have finally made friends with this plant! have divided it and given away several bits to friends. It’s a hardy grower and it has so much to offer. It is known also “knitbone”. The homeopathic remedy “Symphytum” is made from Comfrey. 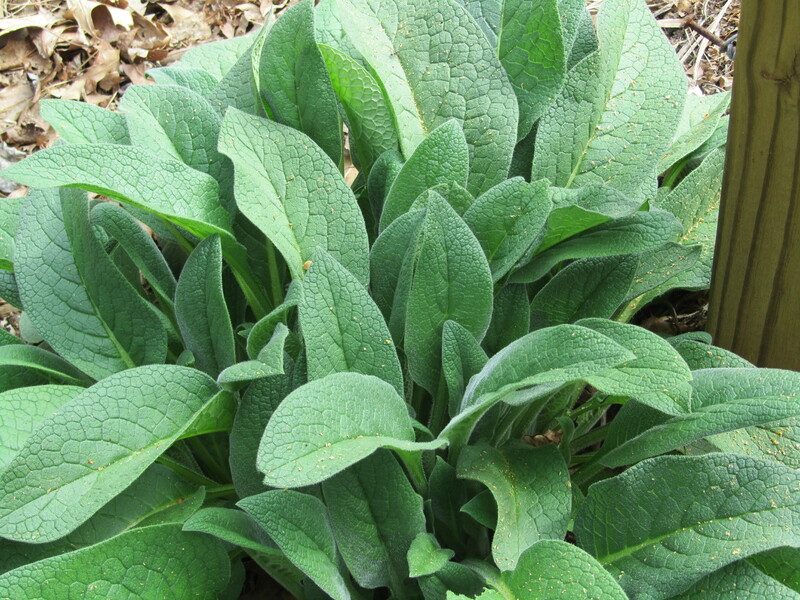 Symphytum is an excellent remedy to speed bone healing after a break. The plant leaves can be wrapped around a strain, sprain, bruise or torn ligaments and it will provide relief and help with healing. You can make a poultice and then dress or we just wrap the whole leaf around the area and bandage over top of that. It is added to the salve (recipe below) and my mother swears it’s the only thing that touches her arthritis pains. I used fresh herbs, so I cleaned them and let them air dry and start to wilt. That helps remove some of the water content. 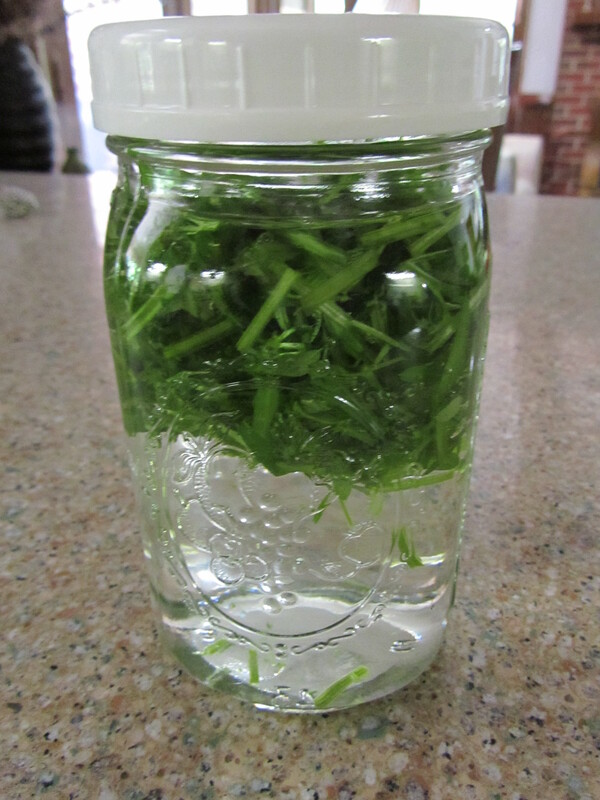 The water content can cause the salve to go bad faster but I really wanted to use fresh herbs from the yard. It turned out to last a long time without spoiling. Add chopped herbs to a small crockpot or double boiler. Cover herbs with olive and then about an inch above. *Many beekeepers use toxic chemicals and those chemicals stay in the wax, so always use organic wax. If you can find some from a local trusted beekeeper, great! I found this salve great for small cuts, bruises, bug bites and as I mentioned, my mom swears by it for the arthritis in her hands. There is something really satisfying about making your own salve from herbs you’ve collected in the yard! As with edibles, start small. Identify a few weeds and start researching. I think you’ll find, as I did, that exactly what you need is waiting for you to discover it! I’d love to hear about your favorites, please comment below. Happy Hunting! This entry was posted in Yard and Garden and tagged Cleavers, Comfrey, Healing Herbs, Plantain, Salve. Bookmark the permalink. 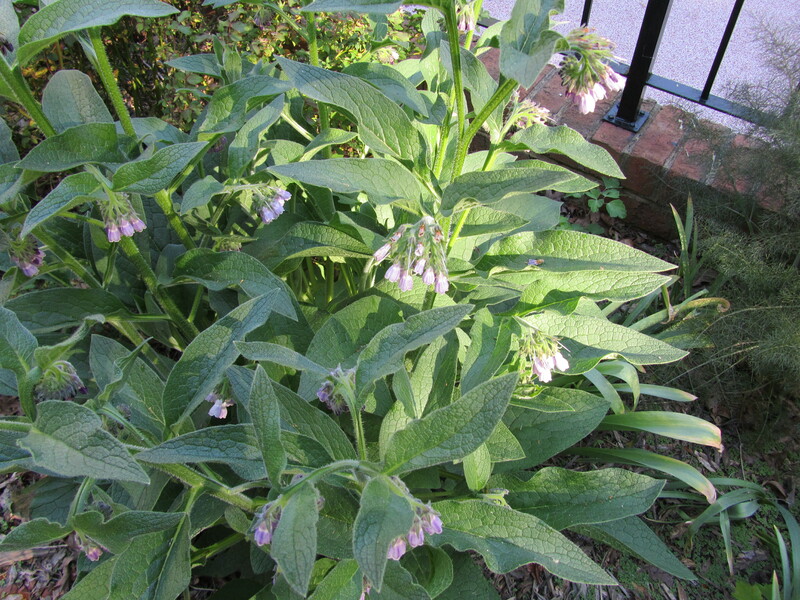 Is the comfrey bad for liver after 10 days of use? I am using on knees this weed has great healing powers. I have only heard of problems if taken internally. I feel very comfortable using it topically.